On New Year’s Eve, Lil Wayne and Birdman were spotted partying together (in the same photo no less) at Drake’s NYE bash. The photo prompted rumors that the two sparring partners might be reconciling, rumors which persist today thanks to a report from TMZ. 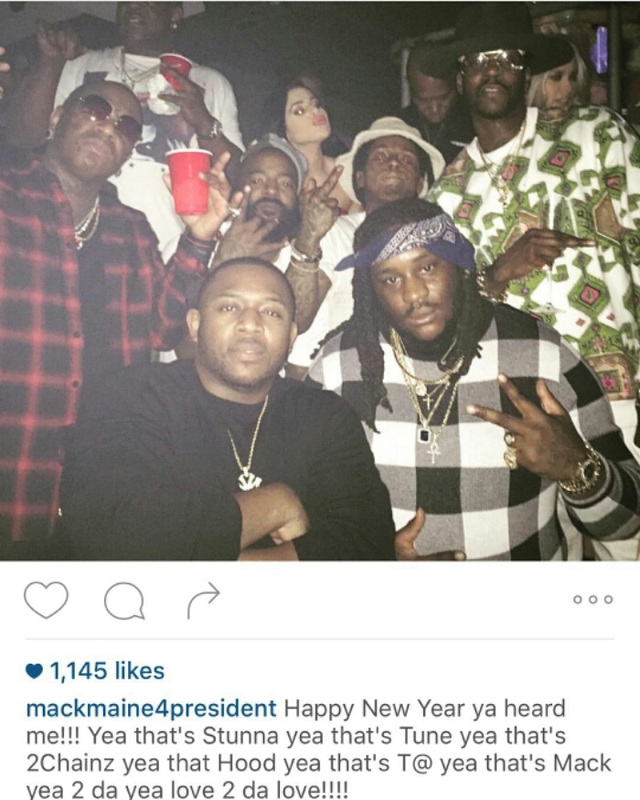 Apparently, Mack Maine set up a conference call with Lil Wayne and Birdman just two hours before Drizzy’s party. The two discussed their issues, namely Young Money and the millions that Baby owes Weezy. Of course nothing is certain that things are smoothed out between the two, but it certainly looks like the two are letting bygones be bygones for the time being. While both artists want to settle the matter, Lil Wayne will not dismiss his $51 million lawsuit until they’ve actually come to an agreement.